Grad student Connie Goodwin should be spending the summer working on her dissertation; instead she’s spending it near Salem digging through her deceased grandmother’s moldering home that her mother has suddenly decided is important to sell. The home has been unoccupied for 20 years, and is full of books and bottles with handwritten labels, rotting floorboards, and dead plants. When Connie is cleaning in one of the rooms, an antique key falls out of an ancient Bible. The key’s shaft is hollow, and from it protrudes a tiny slip of parchment bearing the words Deliverance Dane. 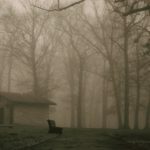 Connie is intrigued, but the closer she comes to uncovering Deliverance’s secrets, the deeper into danger she goes. Someone else is looking for Deliverance too, and they are playing for keeps. 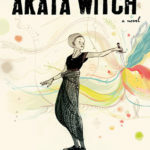 I really need to keep better track of where I hear about the books I add to my TBR list; I added Katherine Howe’s novel sometime back, and now I can’t remember where I heard about it. Which is lame, because I don’t know whom to thank for the recommendation. But I digress. The Physick Book of Deliverance Dane is a great mystery novel — mainly because even though I could guess the ending about halfway in, it still came as a surprise. The writing is tense and well-crafted, the characters good, and the plot just twisty enough. The only complaint I have involves the disjointed nature of the narrative. I didn’t mind the first jump in time (from Deliverance in 1682 to Connie in 1991), but then the author introduced Deliverance’s daughter and granddaughter and was going back and forth between them and Connie for the rest of the novel. You eventually get back to Deliverance’s story, but it felt kind of clunky to me. It’s got the flavor of A Discovery of Witches, minus the “super special character” issue that Harkness leads her main character into. 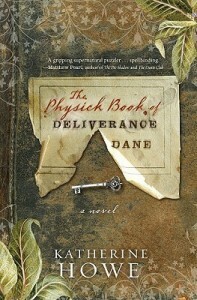 If you like mystery, history, and a little witchcraft, check out The Physick Book of Deliverance Dane. I just have to take this moment to express my profound love for the names of Puritan women. “Deliverance”? “Hester”? So awesome! I love when people give their children aspirational names — although I think it tends to happen more with girls than boys. Names are very important in Howe’s novel, even weaving into the main plot. I definitely recommend it.